Regardless of how she performs in the Drive, Chip and Putt National Finals Sunday at Augusta National, Allyn Stephens won’t have any trouble keeping her results in perspective. Two words speak volumes as to the reason: Hurricane Harvey. 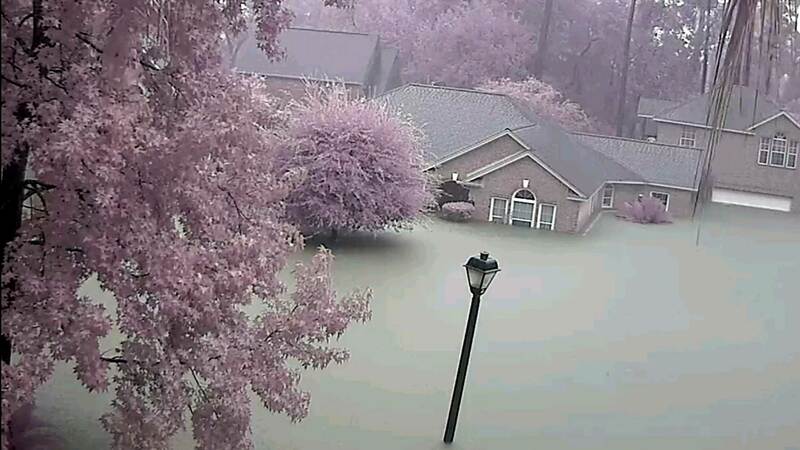 The eighth-grader from Houston, a competitor in the Girls 12-13 division, lived through a natural disaster that spawned unprecedented flooding in her hometown last August. Nearly eight months since four feet of water severely damaged her family’s residence 10 miles northeast of downtown, the Stephenses are still staying in a rental home. They are counting the days until they can move back into familiar surroundings – but also counting their blessings. In the wake of Hurricane Harvey, after her family had spent a couple of weeks in a hotel before finding a rental home, Allyn refocused on qualifying for the Drive, Chip and Putt National Finals for the first time. During the preceding months, she had heeded her father’s advice that dedication would pay off. “I tell Allyn golf is like anything else: If you put the time in and do the work, things will turn out the way you want them to,” her father said. 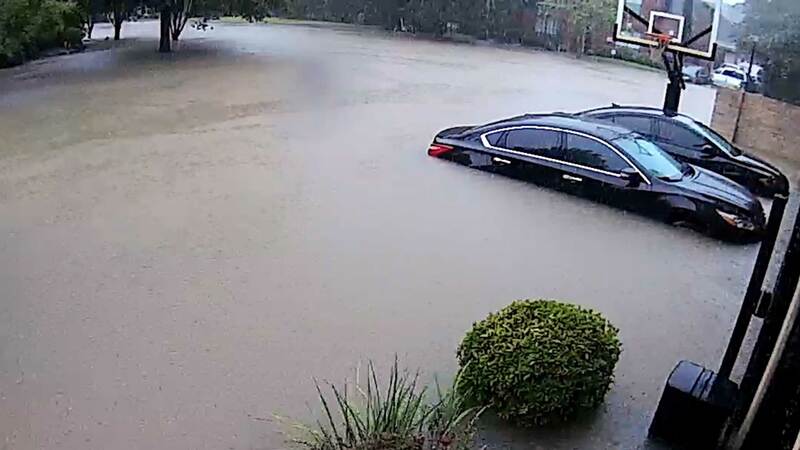 Flooding around DCP participant Allyn Stephens' home in Houston, Texas, during Hurricane Harvey. 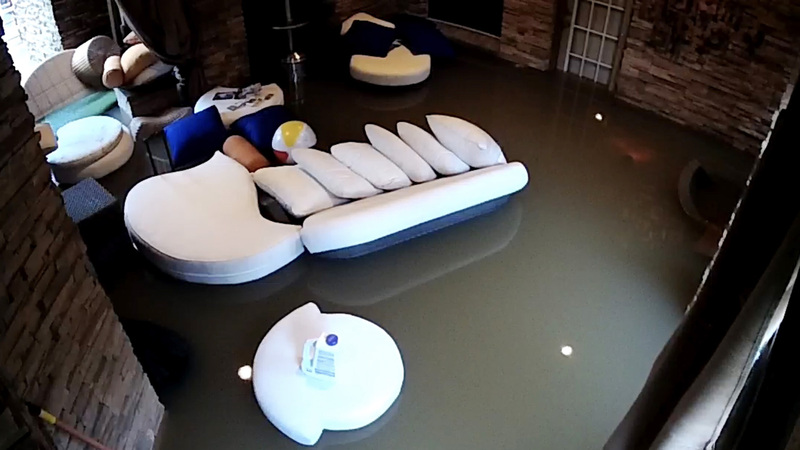 Flooding in DCP participant Allyn Stephens' home in Houston, Texas, during Hurricane Harvey. The 13-year-old isn’t the only talented athlete in the family. After graduating from the University of Arkansas-Little Rock, her father played four seasons in the NBA (with the Houston Rockets, Vancouver Grizzlies and Utah Jazz) and half a dozen years professionally in Europe. Her grandfather, Joe Stephens Sr., who gave Allyn her first cut-down clubs, played basketball at North Texas State in the late 1960s. Joe Jr. introduced Allyn to his favorite sport, but it was a brief relationship. “She had one good game, and everybody thought she was a world-beater; then it was all downhill from there,” her dad said, laughing. Allyn Stephens takes a break from DCP preparations to pose with her father, Joe, left, and coach, right. After her final tune-up on Saturday, Allyn will take an enviable tempo and a definite strategy into the National Finals.